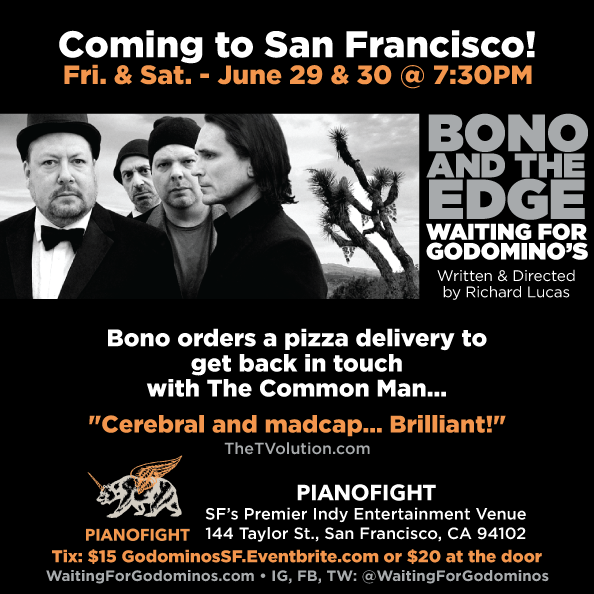 BAY AREA FANS: "Bono and The Edge Waiting for Godomino's"
I'd love to invite you to this play coming to San Francisco June 29-30 at PianoFight (cool little indie venue). It's an award-winning parody of Samuel Beckett's "Waiting for Godot" that has had several successful runs in the L.A. area and is now starting to tour. It's super smart, super funny, and the reviews, which you can read at www.waitingforgodominos.com, are raves all around.